Eyes jiggle; legs wiggle; and antennas sway to-and-fro is the combo tango-jitterbug-frightened-grasshopper dance. It is unmistakably an attention-grabber. 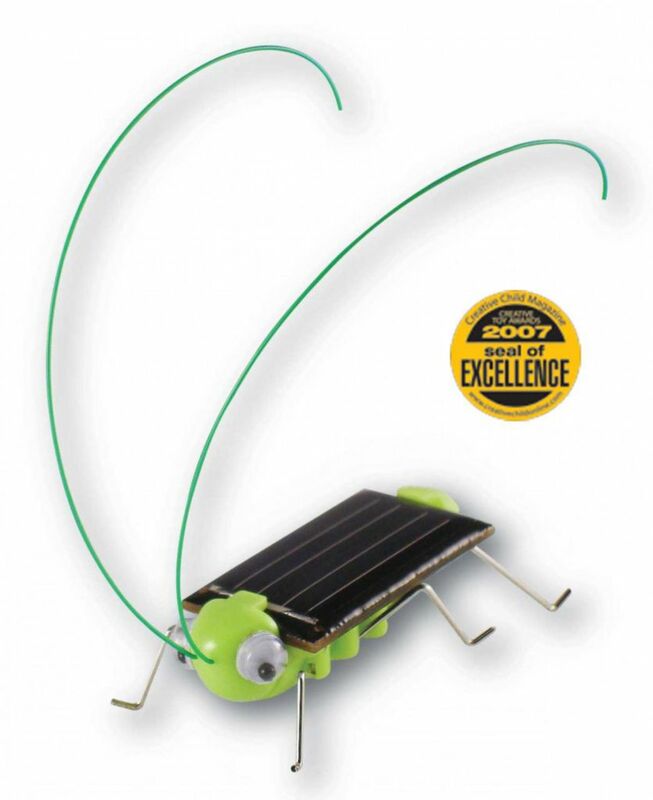 This frolicking fancy is easy to assemble and demonstrates an alternative energy principle. No batteries and tools required and less than ten parts to snap together.